8-8-2018 MI-TRALE needs your help to keep your trails open. You may know that MI-TRALE has worked with the Ottawa National Forest (ONF) for the past 3 years to open the new “Ridge Route” on the south end of the Pioneer Trail. This was to avoid the section of trail that went through a wet area. 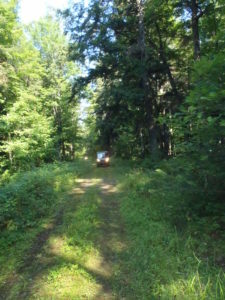 As part of this trail reroute work, MI-TRALE had asked if a new trail head could be developed as part of this project. 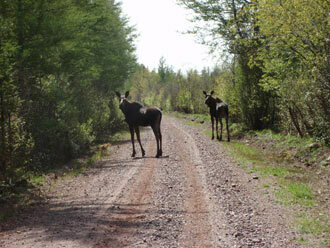 It was agreed by the ONF to build a new trail head for the ATV users. 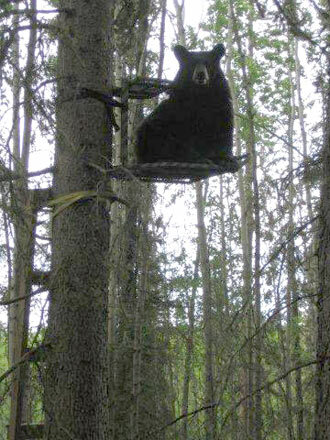 That decision is now at risk, and we all have a few of our ATV riders to thank. It seems that some riders believe that someone built a nice flat space for them to do donuts. In using this space, they have caused damage to the trailhead and made an unsafe surface for others to use this site as intended. It is a real shame when a few rider’s actions take away opportunities for all the rest of us. 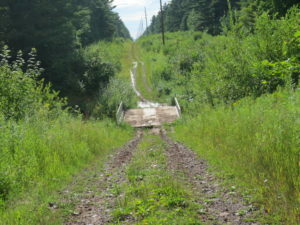 The other issue that has increased this year is riders going around the restrictive gates placed on the Pioneer Trail. These are designed to easily allow a 65” or less SXS pass through. If your machine does not fit, then you are not legally able to ride this trail. Going around the gate causes resource damage and possible trail closures. We need you to be mindful of how and where you ride, and if and when you see activities that could result in trail reductions for you, contact the local authorities. If you are uncomfortable making that call, contact MI-TRALE and share the information with us. May 19, 2018- Club Ride – Waterfall Tour – spring melt will be in full swing and the waterfalls could be spectacular! 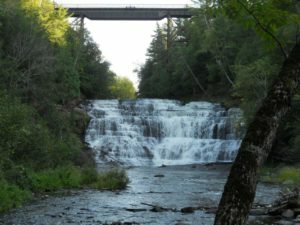 Come join us on an easy ride to view Agate Falls and Bond Falls! If weather and time permit maybe one more! Location: Stannard Park in Bruce Crossing MI on US HWY 45 just north of M28. 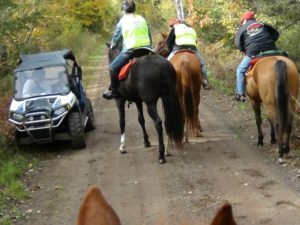 MI-TRALE is considering developing a mobile application (app) to help outdoor recreation enthusiasts enjoy the Western Upper Peninsula’s world-class ATV, ORV, multi-use and horse trails. MI-TRALE is seeking feedback from its members and potential app users to determine if such an app is desirable, and if so, what features should be included. 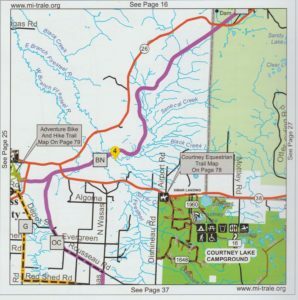 The app could be used to supplement MI-TRALE’s existing printed trail guide or serve as an alternative option. MI-TRALE will host it’s 10th Annual Senior Citizen Fall Color ORV/ATV Tour. The RIDE is FREE and includes a Pasty Lunch. We have a morning ride and an afternoon ride. Once again this year, the morning ride will go from Adventure Mountain in Greenland to the Twin Lakes State Park. Those on the morning ride will then have lunch with the Afternoon Riders at the Twin Lakes State Park. The afternoon riders will then go from Twin Lakes State Park back to Adventure Mountain. The ride takes Senior Citizens past historic Copper Mines, over the scenic Firesteel and Flintsteel trestles, with stops along the way for picture-taking. 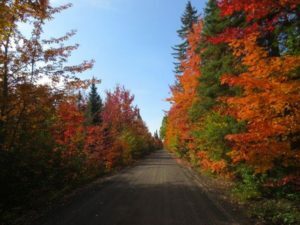 The ride will start south of Mass City following the OC trail over beautiful forest roads and trails through the Ottawa National Forest to Sidnaw. In Sidnaw, we will have lunch (on your own) at the Sidnaw Station. They have really great food and sandwiches, which are sure to have you returning in the near future. The ride will be approximately 30 miles each way and as noted, through some of the nicest and most scenic areas in the Ottawa. It is a very relaxing ride without a lot of water, mud and technical trails. Those new to ATVing may find the ride especially relaxing. The ride will start at what is often referred to as Petty Coat Junction or Pori. Actually, it is an old railroad siding located south of Mass City approximately 13 miles. The site provides for more than adequate parking for vehicles and trailers. The GPS coordinates are: 46 deg. 40’ 48” North, 88 deg. 57’ 34” West. Please see the directions below for greater detail. From highway-26 at the blinking light, turn south onto Depot Rd which changes to Depot Ridge Rd for 1.8 miles. Continue straight as it now becomes Rousseau Road. In approximately 4.7 miles you will note the Rousseau Bar to your right. Continue another ½ mile to Pori Road (you are now on the OC trail) and then an additional 2.9 miles to where Pori dead ends. Turn right for another 1/2 of a mile to the rail road tracks which is Petty Coat Junction or Pori which is the location of the above referenced GPS coordinates and our starting point. FH-16 is 7 miles east of highway-26 at Lake Mine. From highway-38 go south on FH-16 for 6.2 miles to Pori Road which will be on your right. Continue on Pori Road 3.3 miles to the rail road tracks which is Petty Coat Junction also known as Pori. From highway -28 and Davison Road/Gardner Road go north 16.1 miles which changes to Mud Creek Road. Turn right onto FR 1180 for approximately 2.8 miles to where it dead ends on the FR 1100. This is also the OC trail. Turn left or north on the FR 1100 for 2.3 miles to it dead ends on the Pori Road. Turn left or west .4 miles to Pori or Petty Coat Junction. All riders will meet at the Stannard Township Park (behind the CO-OP) in Bruce Crossing at 10:00 a.m. local time. Each ride will go their separate ways and meet up later back at the Stannard Park for lunch to be served at noon. The motorized folks will take a great ride that will include stopping at Bond Falls. From there they will have a ride through the country and returning to Bruce Crossing and the Stannard Township Campground and Park. A very nice ride and on a few forest routes that maybe some have not taken in the past. The equestrian ride remains a guarded secret but is hinted to be a great ride as well. MI-TRALE’s Equestrian Committee is planning the get together and will organize the lunch, which alone should not be missed. And, the lunch is at no cost as it is being provided by MI-TRALE. So, bring your ride, be prepared for a great time and a great lunch not to mention being with a great group of people. Okay, maybe I am just a little biased, but if you attended the June ride, I am sure you will agree. And, remember this is open to all riders, MI-TRALE members or not. MI-TRALE extends our “Thanks” to Stannard Township for the use of their great park facilities. Be prepared for a great time! Share good times while you share the trails! EXCITING NEWS!! MI-TRALE just got word we were awarded a $10,000 Polaris Trails Grant!! Thank you Polaris!! MI-TRALE’s ORV safety education includes participating at Camp Nesbit which is a four-day outdoor educational experience for all 6th grade students within Ontonagon, Gogebic and Baraga Counties of the Upper Peninsula of Michigan. MI-TRALE teaches each year over 100 students the Michigan ORV Safety Training Course so they can receive their permits to ride. We requested funds to purchase much needed safety equipment for these youth ORV safety training classes. The major items are: Helmets, eye protection, 2 youth ATV’s and various equipment for making the field training course. The final area we requested funding for is trail counters. To properly maintain the trails we need to understand trail usage. The trail counts will provide the data required to properly schedule future maintenance projects. A secondary use for this data will be to promote our recreational sport by being able to publicize the numbers of riders that visit the area. This would help educate people on the important role that the ORV riders have in the tourist economy.